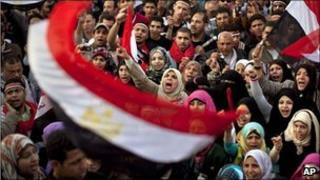 The army in Egypt has passed a draft of constitutional amendments to be submitted to a national referendum. Under the proposed changes, the president would only be allowed to serve two four-year terms, instead of unlimited six-year periods. Deposed President Hosni Mubarak was serving his fifth six-year term when he was toppled by a mass uprising earlier this month. The amendments would also reinstate judicial oversight of elections. The Supreme Council of the Armed Forces that now controls Egypt asked a panel of experts to suggest constitutional amendments that produce democratic reforms. It has promised to put them to a national referendum ahead of parliamentary and presidential elections to be held within six months. The changes are long-standing demands of the Egyptian opposition, some of whom have also wanted to limit presidential powers. But the committee that drafted the changes said it had decided to postpone that issue until after the elections. A future president would also be obliged to appoint a deputy, something Mr Mubarak avoided until the last days of his rule. Other changes would make it easier for individuals to qualify to run as a presidential candidate. Elections would be subject to judicial supervision and it would harder for any leader to maintain the state of emergency. Earlier the Supreme Council apologised after military police surrounded a crowd of protesters overnight, beating them with batons and using tasers to drive them out of Tahrir Square in central Cairo. The demonstrators had been calling for a faster pace of reform and the replacement of the interim government of Prime Minister Ahmad Shafiq. Even after a cabinet reshuffle on Wednesday, several Mubarak-era ministers remain, including the key portfolios of defence, interior, foreign affairs, and justice. Mr Mubarak resigned on 11 February, forced out by 18 days of street protests.